Celebrating the end of the Mayan Calendar and the realization of a world full of love and sharing, this was a summit of inspiration, culminating in a united meditation and focused attention on the energy of transformation. Tom Lescher is a man with a vision reaching gazillions of miles across the universe and a sense of the movement of planets in relation to our own lives. He sees this time of transformation has a leap into a new paradigm that unites us instead of the opposing forces that have controlled relationships over the last thousands of years. His perspective is insightful and invigorating, inspiring and informative, but mostly humble and humorous. Tom’s astrological reports are seen by more than 10,000 viewers each week on Youtube. Annette Tersigni is on a mission to create a global army of modern nightingales, Yoga Nurses, to uplift and expand consciousness in health care; relieve stress, anxiety pain and suffering, and improve quality of life for nurses and their patients worldwide. Using yoga to teach stress reduction, she empowers the nursing to community to give better care to others by taking care of themselves. 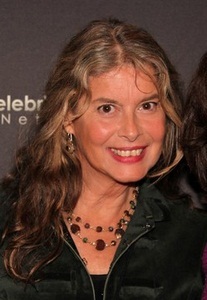 She is the author of “The Richest Woman in Babylon and Manhattan”, a book with seven timeless remedies for a lean purse. Boysen Hodgson is the director of communications for the ManKind Project, an orhganization of men 50,000 strong around the world who are redefining what it is to be a warrior. Recognizing that the true battle is internal against the shadows of our heritage and environment, men are focusing their attention of transformation to a new level of awareness that wields the weapons of compassion and forgiveness far more powerfully than a raised fist. Lane de Moll has been committed to building community since she was in Kindergarten. For nearly four decades, she has been living on Neahkahnie Mountain in Oregon, over-looking the coast and has been instrumental in starting a school and transforming the local dump into a social hot-spot and art mecca. Currently, she is writing a novel describing the kind of life that is possible when a community thrives on the belief that Spirits are guiding us. Paxton Robey is an engineer with a degree in Engineering Physics. He has worked in the corporate world, owned and operated a solar energy engineering business, and in the 1980’s, he taught at Oklahoma State University in the School of Electronics and Computer Technology. For the next ten years, as a consultant, he did training for large corporations and the US Department of Defense in the field of computer networking. In 1968, Paxton became aware of his connection to the spiritual realms through the gift of psychic functioning and channeling. For over 40 years, he has done psychic counseling. He has given numerous talks and facilitated many workshops with metaphysical and spiritual seekers. As an intuitive mystic, he has an understanding of how we can expedite our own path to awkakening. His bliss is sharing his vision of self awakening and planetary awakening with others. 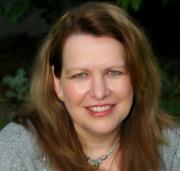 Carol Woodliff is a certified healer and western shaman trained in the traditions of the wisdom keepers of South America. Carol combines highly intuitive spiritual tools with a practical “get it done” approach honed in 25 years project management and team building experience as an administrative manager and legal assistant in some of the nation’s most prestigious law firms. This mix of spirit and practicality helps her assist healers, entrepreneurs, transformational leaders, entertainers and everyday seekers break past those stuck places and free themselves to share their gifts and live connected with their hearts. 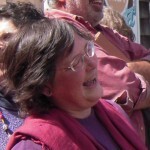 The author of “From Scared to Sacred: Lessons in Learning to Dance with Life”, Carol’s book is described as “equal parts practical, beautiful and mystical–a buffet for the modern spiritual seeker.” From Scared to Sacred explores our personal connection with spirit and how we honor our humanness at the same time. Tina Van Leuven founded InnerDelight with the vision of being a catalyst and initiator for global transformation by empowering as many people as possible to experience the joy from awakening their inner (de)light. 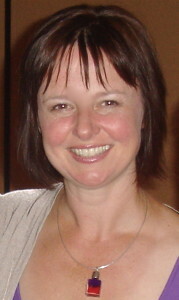 She has a Ph.D. in Healing Science and is also qualified and experienced in many energy releasing techniques. As joy ambassador on the Joy Sprinkle Trail, she is currently traveling around the world, letting joy guide her, interviewing others who are following the path of their heart and sharing what that means to them. Phil Jones, also known as “Shiva”, is a musician who has performed extensively as a Blues-Jazz-Rock artist throughout Australia, the UK, Europe and the US since 1966. During the late 60’s and early 70’s, Phil’s career continued in the UK and Europe with the band Quintessence. After meeting his spiritual master, Swami Ambikananda in London and spending seven years studying his universal philosophy on life and spirituality, as the leader of the band, Phil began blending Hindu chants and Eastern philosophies into a current rock format over the course of five albums and sharing stages with some of the best known bands of the time. 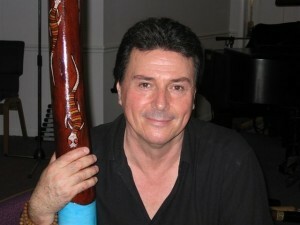 In subsequent years, Phil spent time in his native country of Australia learning the didgeridoo from the Australian Aborigines. Already having an appreciation for the healing qualities of ancient Hindu chants, Phil recognized the similar vibrational characteristics of the 10,000 year old Aboriginal instrument, and soon began to explore its exceptional tones in combination with those derived from other indigenous cultures.